Andrew Bacevich and Bill Moyers talk Trump and Kim Jong Un. There is no saner, seasoned or sensible voice on American foreign policy today than Andrew Bacevich. He graduated from West Point and served in Vietnam, earned his doctorate in diplomatic history from Princeton University, taught history and international relations at Boston University, and has written several acclaimed books, including the best-selling Washington Rules: America's Path to Permanent War and more recently, America's War for the Greater Middle East. He contributes essays and articles to a wide variety of publications and is writer at large for The American Conservative. Bill Moyers: The rhetoric between Donald Trump and Kim Jong Un gets hotter and more belligerent -- it's incendiary and personal. When's the last time you heard this kind of vitriolic, threatening rhetoric between a US president and a head of another country? Andrew Bacevich: I don't believe that we've ever had a president who has used this kind of language. Certainly not in my lifetime. One of the things that strikes me about President Trump is that his capacity to use the English language is so stunted. He simply has no ability to adapt the language he uses to a particular circumstance. In the past when presidents are out campaigning, they use one kind of language, a different kind of language when they're speaking to a joint session of Congress, [and] a different kind of language when they're meeting with a foreign dignitary. But [with] Trump, it's all the same. It's all crude. It's all unsophisticated. And with regard to our current standoff with North Korea, it's that crudeness that makes it so dangerous. Moyers:	What's your take on the rhetoric coming out of North Korea -- and in particular from Kim Jong Un and the foreign minister, who seems to have taken Donald Trump literally? Bacevich: It's not unprecedented. North Korean language over decades has tended to be provocative. That said, previous administrations have tended to discount North Korean language -- not to ignore it, but to not take it quite so literally as Trump seems to. That tendency to discount has served us well in the past. Part of the thing we have to keep in mind is -- and I expect this is true with regard to North Korea, and I know it's true with regard to the United States -- is that a leader speaks to multiple audiences. Any sophisticated politician appreciates that and tries to frame a statement so that it will be understood and presumably [be] correctly perceived by multiple audiences. But these two guys seem to not understand that political requirement. To some degree, I think Trump mostly speaks to himself. He says things in a way that somehow satisfies his own sense of who he imagines himself to be as a leader. He certainly doesn't take into account the fact that American allies as well as adversaries are taking in his every word and trying to interpret them. Moyers: Given the nature of his rhetoric, given his known temperament, does North Korea have to worry that Trump just might order an attack for whatever reason? Bacevich: If I were a North Korean who was advising Kim Jong Un -- I'd be counseling my boss that we're dealing with somebody who could easily fly off the handle and make an impulsive decision. Kim Jong Un might say to me, "Well, why do you think that?" and I'd say, well, let's consider the attack on Syria that followed the allegations, probably true allegations, of Syrians using chemical weapons. That was a decision made off the cuff, impulsively, with no particular connection to larger policy purposes. From a North Korean perspective, I would take that episode quite seriously. 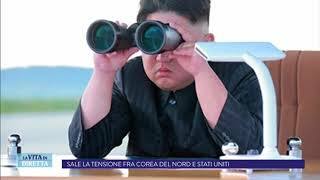 Now, would taking it seriously therefore make the North Koreans more careful, more cautious, or would it be something that would tend to push them closer to the brink themselves? I don't know. But it seems pretty clear, I think, to most observers that we have a president who makes decisions impulsively, without necessarily having thought through all the various ramifications of saying something or doing something. 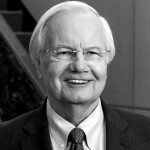 Moyers:	Kim Jong Un must have seen what happened to Saddam Hussein in Iraq and Moammar Gadhafi in Libya. Do you think it's possible that he believes the US wants to do him in as well, and that if Hussein and Gadhafi had had some nuclear weapons, they might still be around? Do you think this might cross his mind? Bacevich: Oh, absolutely. The recent language by the Trump administration -- they revived the phrase "rogue regime" -- seems to recall the kind of language that was much in evidence in the George W. Bush administration after 9/11. Remember, North Korea was part of the "axis of evil." After 9/11, if you were on the "axis of evil," it seemed pretty clear that the United States was going to come after you. In that post-9/11 period, Gadhafi in Libya, perhaps taking seriously the possibility that he was going to be somewhere on the hit list, made a point of giving up his nuclear weapons program. From what we know, it wasn't a very impressive program, but he gave it up and his reward then was to be attacked and overthrown by the Obama administration. I'm in the camp that believes we cannot know for certain how the North Koreans think, and we cannot know for certain what their purposes are. But I'm in the camp that believes that as vicious, as oppressive as that regime is, nonetheless there is a rational basis for the things that they do, and that Kim Jong Un's ultimate objective is to maintain his regime, and by extension, to maintain himself. I also believe that they are likely to appreciate that they are in a position of extraordinary weakness relative to us, relative to almost any other nation in the world. Weak economically, weak militarily, weak in terms of their capacity to innovate, to adjust, to improve their situation. And it makes sense from that perspective to see nuclear weapons, particularly nuclear weapons along with some kind of a long-range ballistic missile capability as a lifeline. I think that that's their purpose, to be seen to be developing this capability in order to try to keep us at arm's length and to keep China as their only serious ally. Moyers:	We don't have many historians of North Korea, but one of them, Cheehyung Harrison Kim, teaches the history of Korea at the University of Hawaii. He says, and I'm quoting him: "The nuclear threat as a real war is not real. North Korea is using the nuclear weapons to stand up to the US and South Korea, and to send a message to the world that it will bend to no one. North Korea sees nuclear weapons as one definitive way to gain international attention and be heard, and it sees nuclear energy as a solution to its energy problem." Make any sense to you?